A database of uniformly normalized and annotated microbial Affymetrix gene expression profiles. 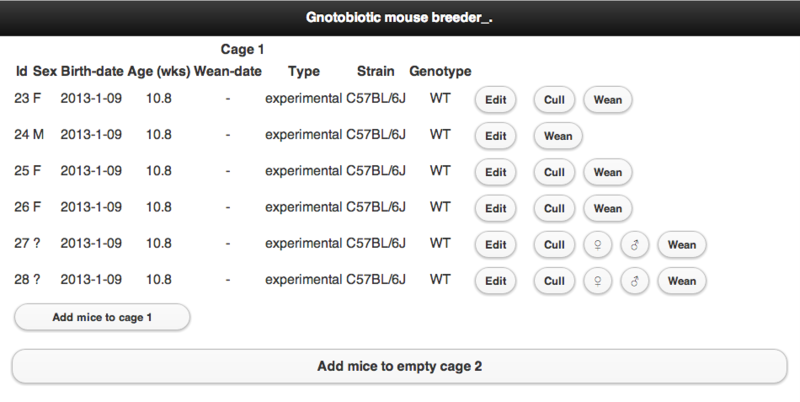 Software for tracking gnotobiotic mouse breeding. Simulate community size -vs- total effect size. See Identifying Gut Microbe-Host Phenotype Relationships Using Combinatorial Communities in Gnotobiotic Mice for details.